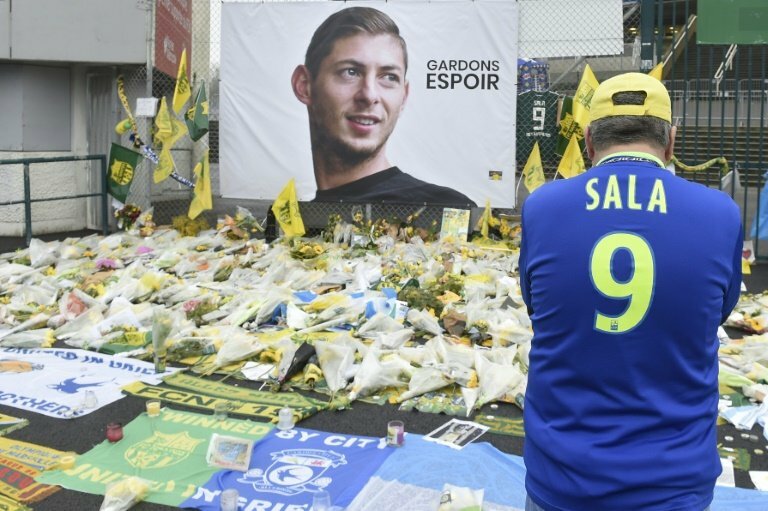 British investigators on Wednesday (Jan 6) said they had recovered a body from the wreckage of the plane carrying Argentine footballer Emiliano Sala in the Channel. A handout picture released by the UK Air Accidents Investigation Branch shows part of the wreckage from the missing Piper Malibu aircraft. A shipwreck hunter hired by Sala’s family with the help of funds donated by football stars such as Lionel Messi found the plane wreckage on Sunday. “In challenging conditions, the AAIB and its specialist contractors successfully recovered the body previously seen amidst the wreckage,” the Air Accidents Investigation Branch (AAIB) said Wednesday. “Had that not happened, I don't think anybody would have searched for the plane,” said shipwreck hunter David Mearns, whose private company found the plane before calling in the AAIB. Earlier this week Sala’s father, Horacio Sala, acknowledged that there was no prospect of finding his son alive. “There's no longer any hope," he told Fox Sports.